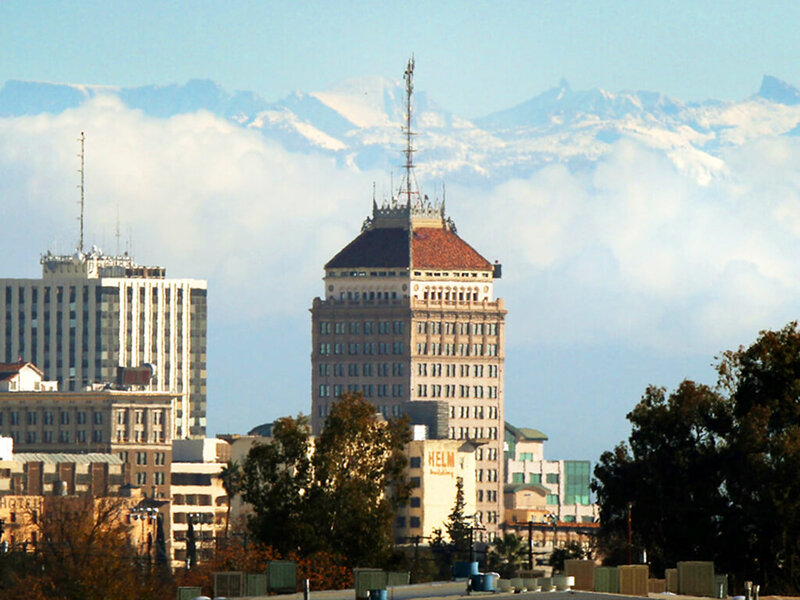 Fresno began as a station for the Central Pacific Railroad in 1872 and was made the seat of Fresno County in 1874. The city’s name is Spanish for the ash trees that the early explorers found in the area. Fresno is a leading agribusiness hub, with 250 different crops produced by 7,500 farmers on 1.9 million irrigated acres, worth $3 billion a year. Fresno County’s top agricultural products are grapes, cotton, tomatoes, cattle and calves, and turkeys.